Storms come large and small. Some make the front page, others move through an area over the course of a few hours, forgotten as soon as they pass. Storms have this unique ability to test the waterproofing and structural integrity of buildings and homes. 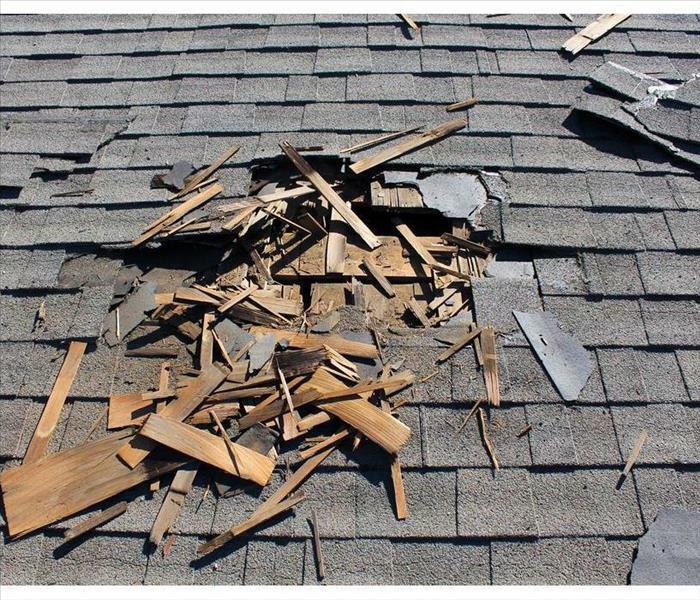 Both a large storm and a small storm can cause severe damage to a property exposing leaks and creating massive headaches. But, wherever you find a storm you’ll find SERVPRO green trucks and green shirts, trained and specialized techs ready to help rebuild and restore. Our SERVPRO of West Hills team is made up of highly trained technicians who use specialized equipment and advanced training to quickly restore local homes and businesses including Fayetteville, Noblestown, Oakdale, Morgan, Moon and Carnot. Our team is committed to responding immediately which helps to minimize secondary damage. Have Storm or Flood Damage? Why Choose SERVPRO of West Hills? A fast response is crucial to flooding and storm damage, because it reduces secondary damage and restoration costs. Storms don’t wait for regular business hours and neither do we. Our technicians will respond immediately, day or night, to help Edgeworth business owners and residents. As a leader in storm and water damage restoration, SERVPRO of West Hills has the specialized training and expertise to restore your home back to its pre-storm condition. Our restoration process puts an emphasis on scientific drying techniques, progress monitoring and documentation. Major storms and flooding events can overwhelm many restoration companies. On the other hand, SERVPRO of West Hills can access resources from 1,700 Franchises across the state and country and even utilize Disaster Recovery Teams for major storms and disasters. SERVPRO of West Hills is locally owned and operated—so we live and work here too, and are proud to be part of the Edgeworth community. We are also part of a national network of 1,700 with special Disaster Recover Teams that can respond with additional resources during catastrophic storms and major events. We work with your insurance. For a stress free claims process, SERVPRO can help manage the insurance paperwork and process. Call for details. Highly recommend! Great at what they do and very respectful for your home. Your primary focus should be safety, be especially careful of electrical and "slip and fall" hazards. © Servpro Industries, LLC. – All services in the U.S. performed by independently owned and operated franchises of Servpro Industries, LLC. © Servpro Industries (Canada) ULC – All services in Canada performed by independently owned and operated franchises of Servpro Industries (Canada) ULC.